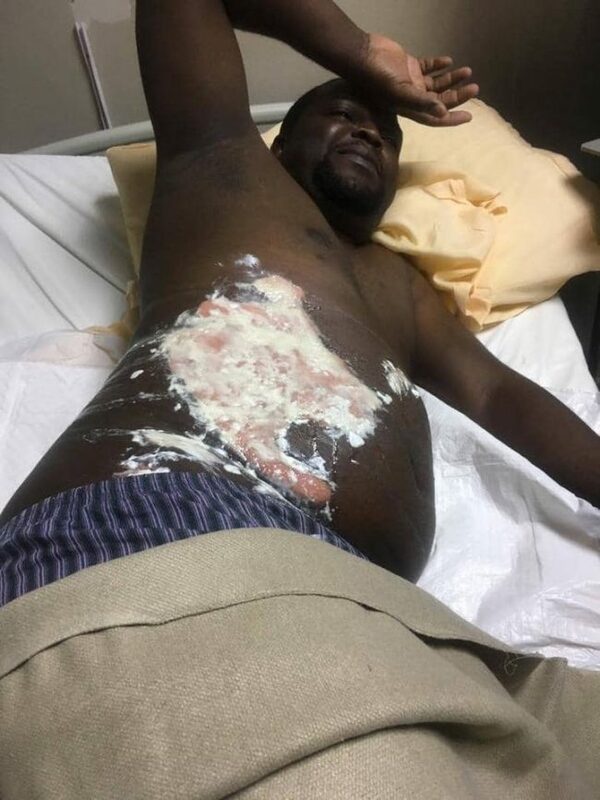 Richard Mwanza Jr, the son to Mr. Richard Mwanza Snr the director general of Zambia National Broadcasting Corporation(ZNBC), is in hospital bed struggling in agony after being burnt with hot water by his jealous and malicious wife who works for PACRA in Lusaka. The couple married four years ago and have 2 children. Richard is a randy Lusaka businessman with a chain of girlfriends. Last night the couple had a fight after the husband reached home late. 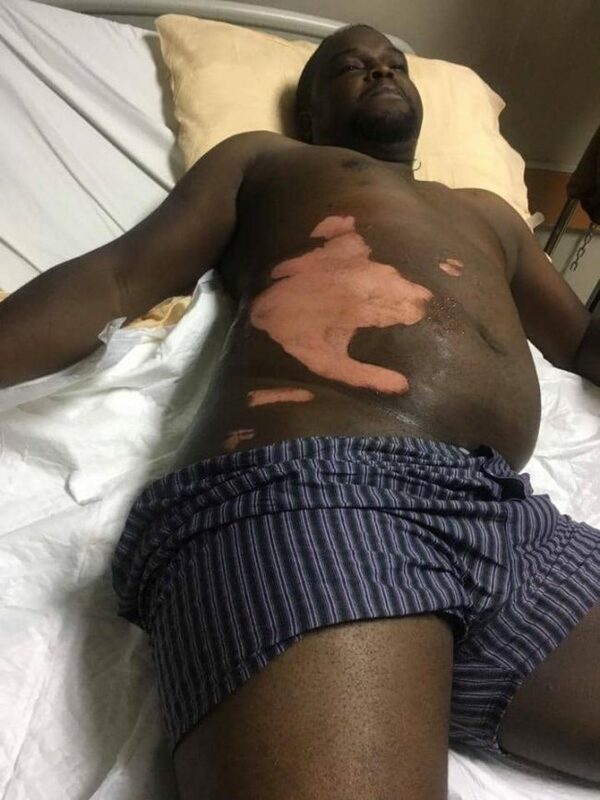 Wife got hot water and poured it on his husband then ran away leaving him for the dead. Police have since launched a hunt for Mwanza’s wife who is in hiding. Below are pictures of Richard in a hospital bed. He appears to be in great pain. Is there any man without a girlfriend??????? Whether married or single….!!!!! Chaona muzako chapita mailo chili Pali iwe…!!!! Get well soon Mwanza. If even men of God have girlfriends wat more a an ordinary person?? Mwanza quickly divorce this woman 👩 don’t even go the prosecution way…leave her..she will kill you next time!!! Why is she running away????? Mwanza that woman is stuped and very foolish. Leave her next time she will add doom to food.